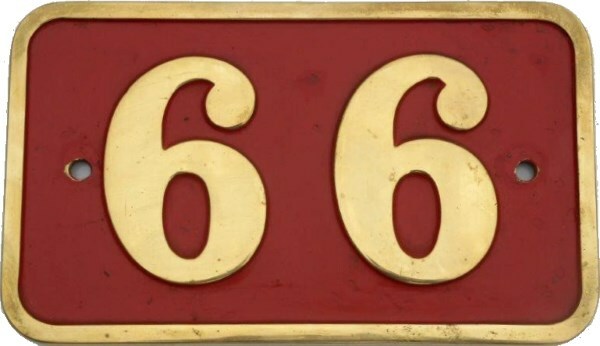 Lot 113 Manchester Ship Canal Brass Locomotive Cabside Number Plate "66". As carried by a Hudswell Clarke 0-6-0 long Tank - Works No 1362 - 1919. Front Cleaned and polished. Good condition.